Want to connect with Octavio? We are a family owned business we do the work ourselves . 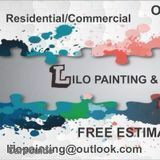 I have 15 years experince in repaint, new houses and commercial,able to take on any job you might have and every other type of job new and old. We have all tools needed for any job as well as reliable transportation. We believe in getting the job done on time and paying attention to details.